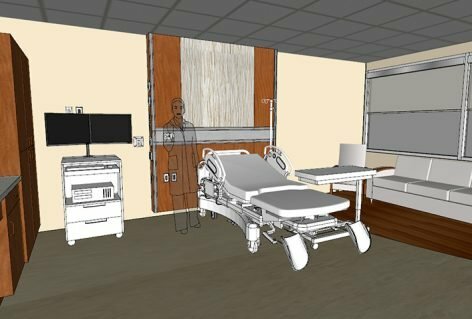 The task at hand for this $8 million project is to renovate the existing Obstetric Unit located on the 9th floor of the Mercy Health Saint Mary’s bed tower. Since the existing unit must continue to operate, the project is split into several phases. The first phase is the largest, taking up nearly the entire southern portion of the 9th floor. This phase includes the family waiting area, two C-section rooms, four triage rooms, six postpartum/antepartum flex rooms and nine labor & delivery rooms. 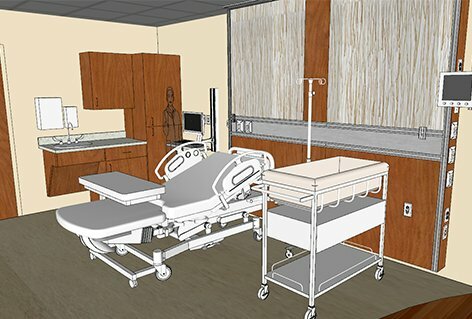 The second phase will occupy the northeast patient rooms, covering nine postpartum rooms in total. The last phase has two sub-parts, A&B. Phase 3A will complete the remaining nine postpartum rooms, along with the nursery and general staff support areas. 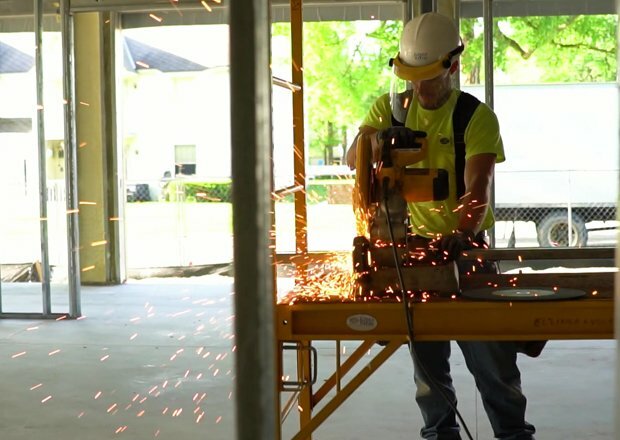 Towards the end of 3A, phase 3B will kick-off, which will conclude construction with the renovation of the elevator lobbies.